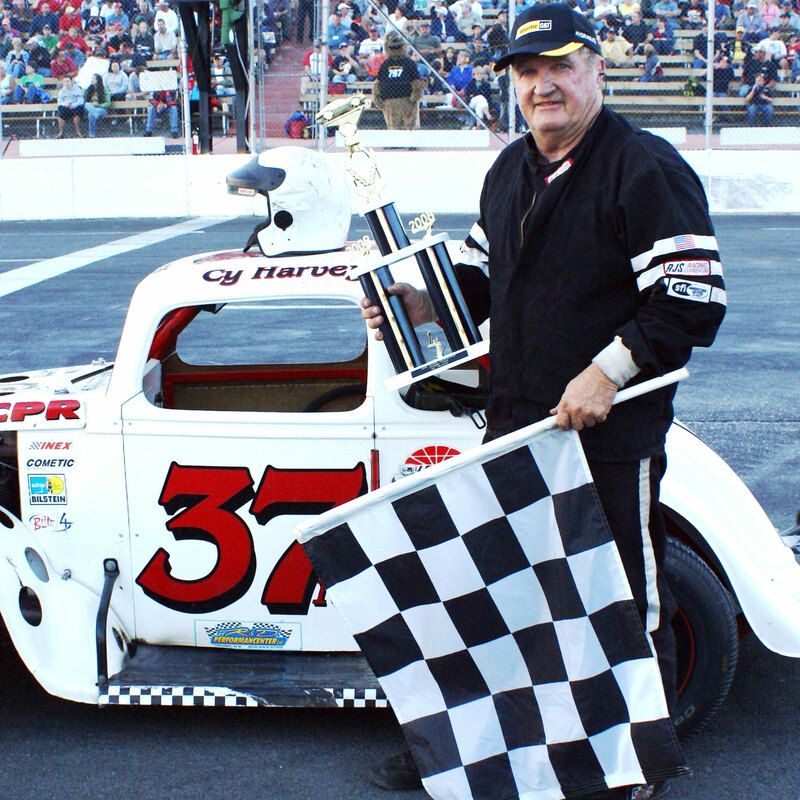 Cy Harvey started racing in 1969 at Halifax Dartmouth International Speedway, Sackville, NS, with a 1955 Cheville that he won in a poker game. He cut it up to make a stock car. 1970-‘75 drove a Jr. Hanley built sportsman car at Atlantic Speedway in Hammonds Plains, NS. 1976-‘77 raced a modified at Onslow Speedway sponsored by Russell White Lumber. Went to New Smyrna Speedway, FL for Race Week, ran against such drivers as Mark Martin. 1978-‘80 Cy won races at Atlantic Speedway driving a Crooks Racing built car. 1980-‘85 he joined MASCAR and raced different tracks in the Maritimes. 1988-‘92 built a Modified Open Wheel car and raced locally at Scotia Speedworld. 1993 – bought a modified race car from Rollie MacDonald to race MASCAR. 1998 Cy started racing Legend cars at Moosehead Speedway, NS and won the Championship. 1999 he won the Masters Nationals at Charlotte Speedway, NC driving a Legends Car. 2002 raced at Allendale Speedway in the USA winning the feature. 2003 Cy won the Canadian Championship at Berry Speedway in Ontario. 2015 won the Maritime League of Legends 3 race deal sponsored by Atlantic Tiltload. 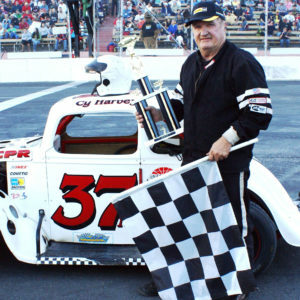 Cy has raced Sportsman, Legends, Trucks, Open Wheel and Pro Stock.